To be honest, there are moments when I enjoy the sight of the business and financial elites that dominate both of our political parties, and the courtier class that serves their interests in the media, collectively seized by anxiety over the rise of Donald Trump. Rarely have the haughty so richly deserved to be humbled! But such moments are fleeting. Bigotry is the beating heart of Trumpism; commingled hatred and fear of “the Other,” of “Those People,” propels it forward. Trump has tapped into a vein of anger buried in the hearts of many Americans and is attempting to exploit it for his own purposes. But this anger is not a constructive force- it is a blind rage akin in many ways to a disease of the soul. Those infected with this sickness dream of revenge, not reconciliation; of conquest, not compromise. They go looking for scapegoats to blame for their own failures and frustrations and invariably find them among the weak, the vulnerable, and the marginalized. Indeed, even Trump’s signature slogan, “Make American Great Again,” reflects more of a yearning among his supporters for a return to a mythologized white male dominated, heteronormative, past, than a forward-looking vision for our common future. Trump’s rise is the result of our own political failures. His campaign is the malignant child of neoliberalism at dusk; the inevitable consequence of the economic and social wreckage wrought by the so-called Reagan-Clinton consensus. Put another way, the Trump phenomenon is inconceivable without the sense of despair, exclusion, and anomie that has become pervasive among the white working class. Trump did not create these deposits; he is merely mining them. In this regard, it does not matter that many of their underlying grievances are legitimate- that they are, particularly in an economic sense, also the victims of an exploitative system. Their anger has become a cancer, and that cancer has deformed them. Now, the trauma caused by our broken economic and political systems has loosed some of our worst demons. The evil that used to hide behind code words and dog whistles is spoken plainly; our devil walks in daylight once again. Our demon is racism- our founding sin, the crime that’s been with us since the very beginning. In America, race defines “the Other,” it is the basic, and most enduring, boundary between “us” and “them.” Racial hate and fear fires the furnace, everything else, like homophobia and xenophobia, is either ancillary to or derivative of it; they are variations on a theme. People of good will, open your eyes. The worst is drawing closer. When the demon walks again in the open, then the old violence- the nooses, the burnings, the bullets, and the beatings- is also near at hand. It is only our own lack of imagination that blinds us to the fact that the gains of fifty years can be reversed, and that the old adversary is gathering again out on Pettus Bridge, ready once more to bar the way. We must be honest- there are many people who would rather burn down the nation than see it handed over to “Those People” (however conceived). They see life as a zero-sum contest between “us” and “them,” and they believe that they are losing. They are desperate, and they are drowning. People in the grip of such delusions are ultimately capable of anything; people who are drowning pull others down with them into the depths of the abyss. In retrospect, the cynical politicians who used the code words and the dog whistles kept the old evil alive, nourishing it in its exile. They were playing a dangerous game. It awaited only the right circumstances for their words to become an incantation, summoning the demon forth again. Indeed, in many ways the GOP’s so-called Southern Strategy was always a bargain with the devil; and now the devil has returned to claim his due. People of good will, listen to your intuitions! Trump is creating social space for expressions of outright bigotry and hate. Through his candidacy, he is legitimizing them again. His success and his persona are exerting a gravitational pull, drawing other candidates towards him- he will have many imitators in the future! And, as in the past, hatred and bigotry walk hand-in-hand with the celebration of violence, vigilantism, and cruelty towards others. It is no accident that he has adopted certain aspects of the fascist political style or re-tweeted quotes from Mussolini. The worst can happen here. We’re really not that exceptional, and we are in much greater danger than we imagine because once they are unleashed, demons are exceptionally hard to control. Ultimately, the only thing that can avert catastrophe is for enough of us to gaze into the eyes of “the Other,” of “Those People,” and see our own brother looking back. Remember, our Lord was nailed to the Cross for “Those People” too, and He called them each by name before the foundation of the world. That sort of recognition breaks fear’s fever grip. The moment you see “the Other” as a brother, the demon is driven from you, and it will never have any power over you again. This is just the sort of national exorcism we need if Trumpism, and the politics of hatred and fear, are to lose their appeal once and for all. 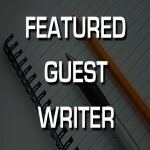 Featured guest writers that promote the values of our site.